Former Soviet leader Mikhail Gorbachev calls on the United Nations Security Council to pass a resolution on the inadmissibility of nuclear warfare which is to be initiated by the Russian and U.S. leaders, Vladimir Putin and Donald Trump. "I call on the members of the United Nations Security Council as a body directly responsible for maintaining peace and security to make the first step. 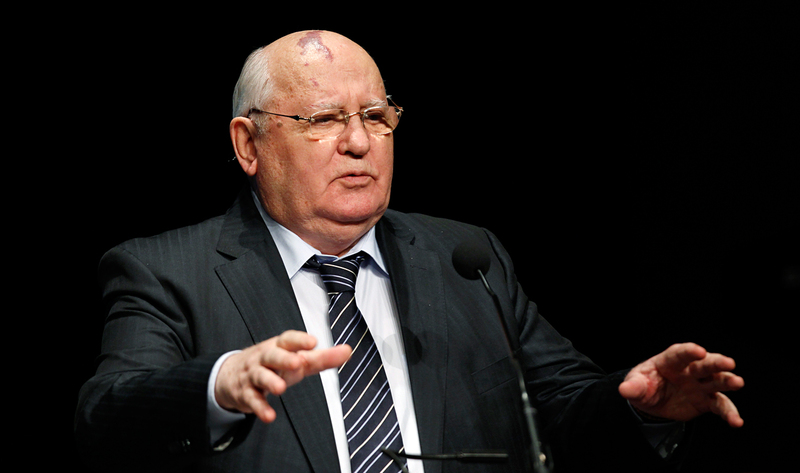 My concrete proposal is as follows: a resolution on inadmissibility of nuclear warfare should be passed at a Security Council meet at the level of heads of state," Gorbachev wrote in an article published in the Rossiiskaya Gazeta daily. "It would be right if such a resolution be initiated by Vladimir Putin and Donald Trump as the presidents of the countries possessing more than 90 percent of global nuclear arsenals. They bear special responsibility," the former Soviet leader underscored.